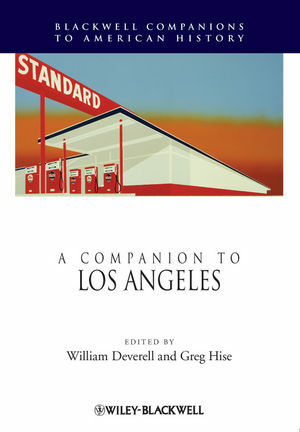 This Companion contains 25 original essays by writers and scholars who present an expert assessment of the best and most important work to date on the complex history of Los Angeles. William Deverell is Professor of History at the University of Southern California and Director of the Huntington-USC Institute on California and the West. He is a historian of the nineteenth- and twentieth-century American West. His recent publications include A Companion to California History (co-editor, Wiley-Blackwell, 2008), Whitewashed Adobe: The Rise of Los Angeles and the Remaking of Its Mexican Past (2004), and A Companion to the American West (editor, Wiley-Blackwell, 2004). He has also co-edited Land of Sunshine: An Environmental History of Metropolitan Los Angeles (2005), Metropolis in the Making: Los Angeles in the 1920s (2001), and The West in the History of the Nation (2000). Greg Hise is Professor of History at the University of Nevada, Las Vegas. He studies the economies, architecture, and planning of United States cities. He is the author of Magnetic Los Angeles: Planning the Twentieth-Century Metropolis (1997), co-author of Eden by Design: The 1930 Olmsted-Bartholomew Plan for the Los Angeles Region (2000), and co-editor of Land of Sunshine: An Environmental History of Metropolitan Los Angeles (2005), and Rethinking Los Angeles (1996).